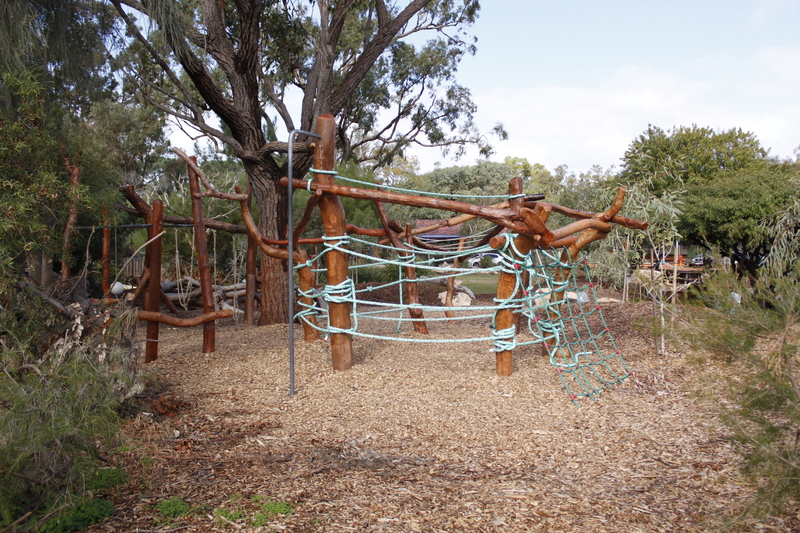 The Masterplan outlined different areas, incorporating a wide range of Nature Play elements, including water and rope play, climbing, swinging and balancing, cubbies and shelters, with educational colour, sound and musical elements throughout. 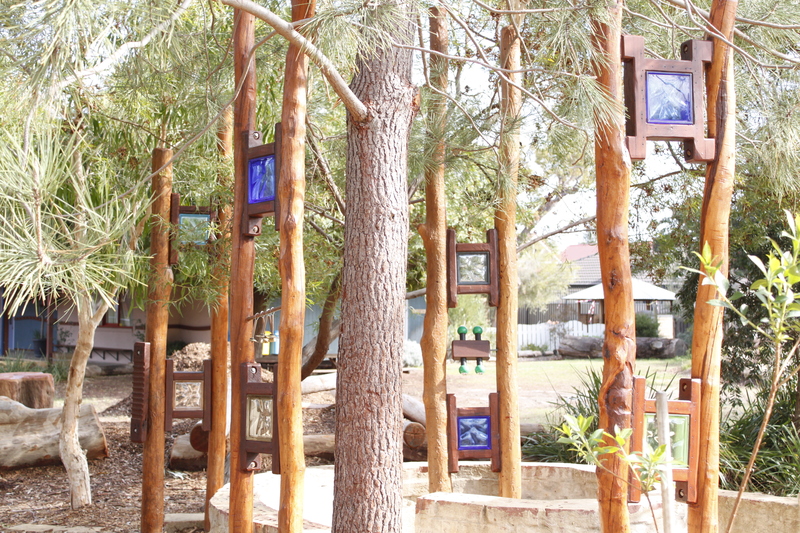 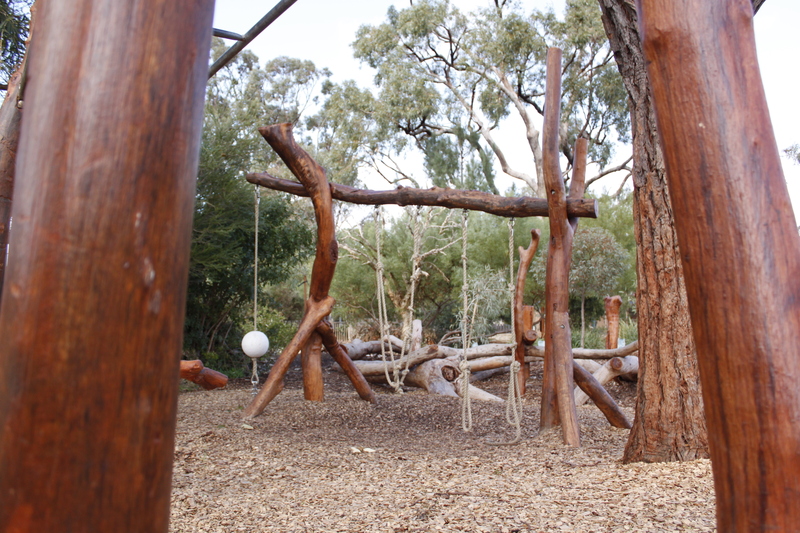 AREA 1: Ground logs, timber steppers and large rocks; balancing logs and balancing nest; carved top stump; Rope Play: Rope climbing Tower, Rope swing climb; Water Play: water rocks and dry creek stream; talking pipes; mulching; plantings. 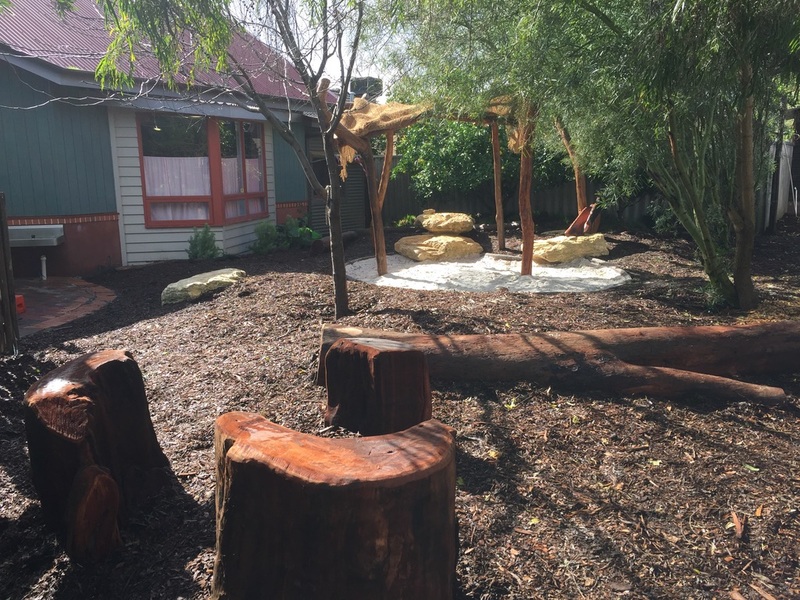 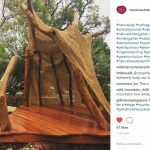 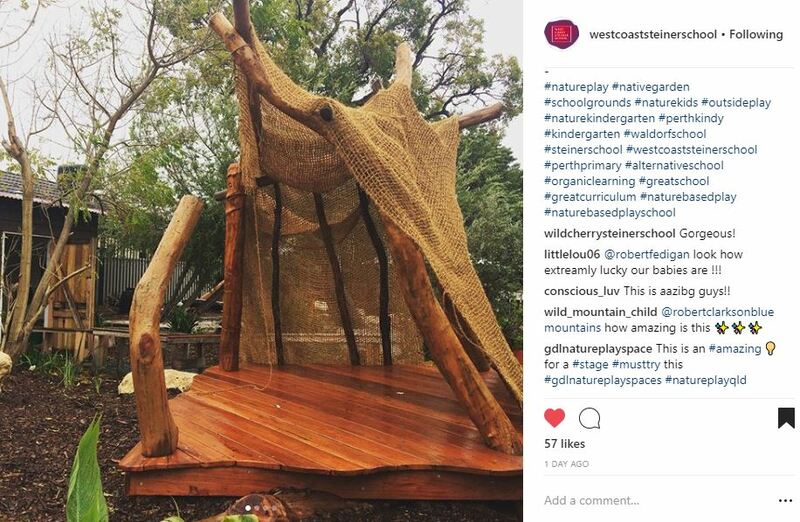 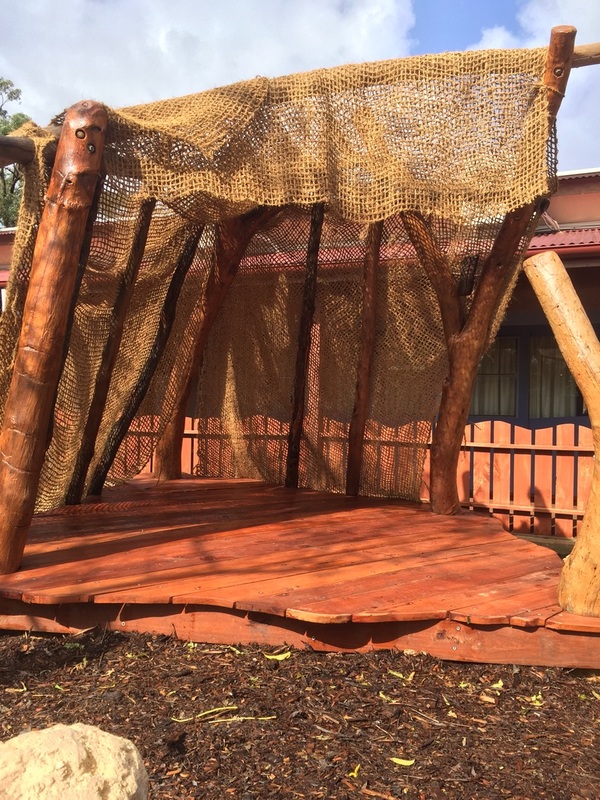 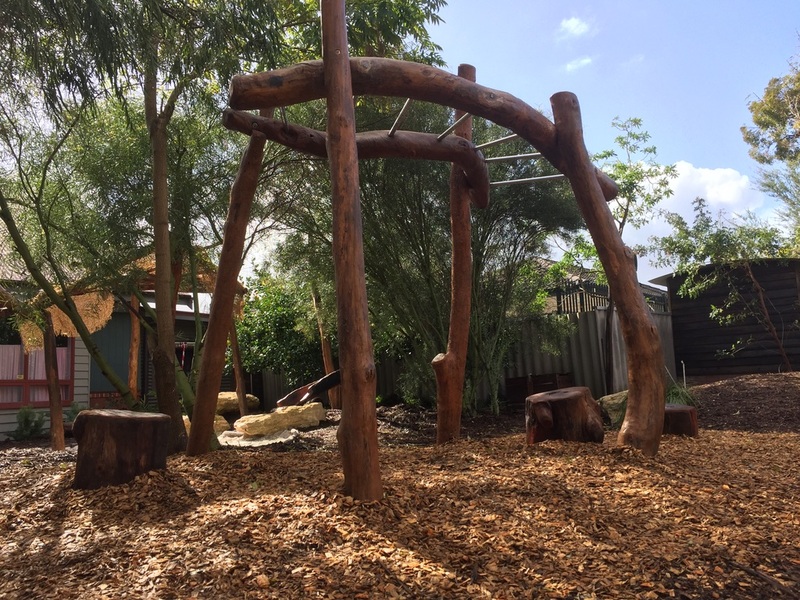 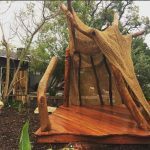 AREA 2: Ground logs, timber steppers and large rocks; Vestibular Motion Swing; Water play troughs, water rocks and water stream; cubby; Musical area log drum and bell seats; Rope Net; plantings. 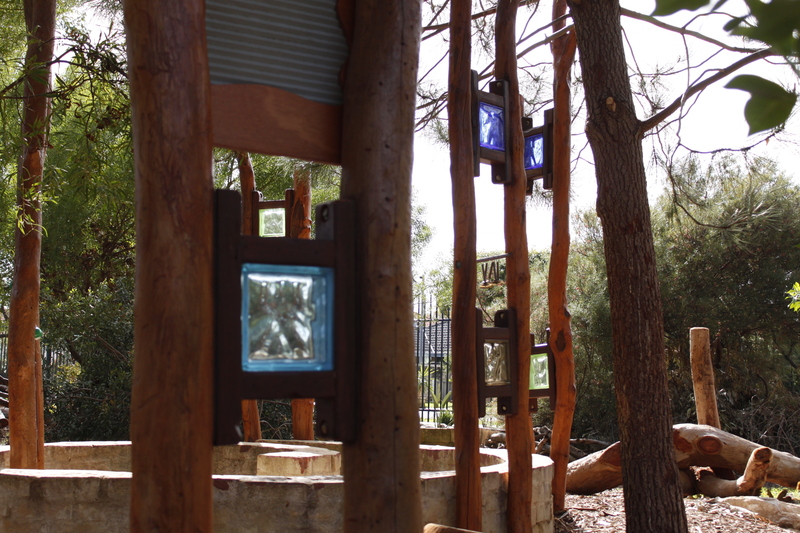 Spiral Entry: Spiral, sound and Colour Entry; Timber Verticals with glass coloured blocks, musical items and sound tubes. 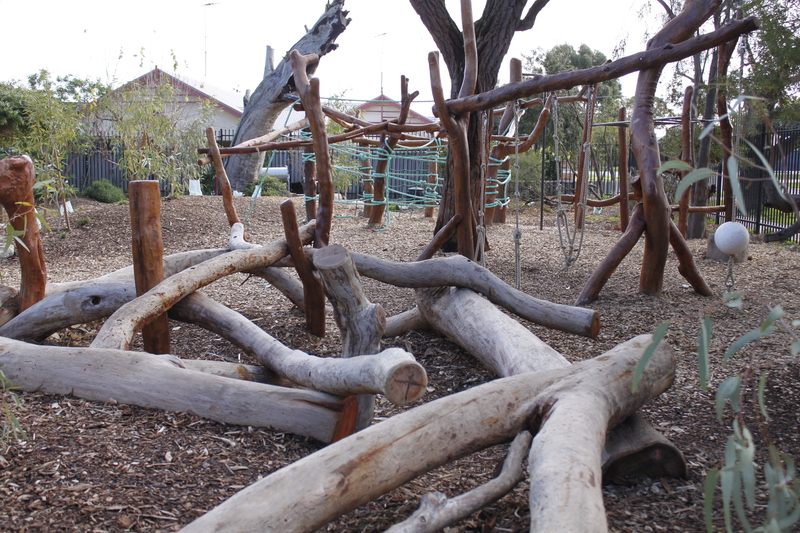 These off cuts would have been burnt but are put to great use in our primary playground upgrade.